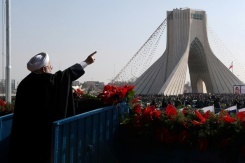 TEHRAN: Iran's president on Monday blasted a US "conspiracy" against the country as vast crowds marked 40 years since the Islamic revolution at a time of heightened tensions with Washington. The event Monday was the culmination of official celebrations called the "10 Day Dawn" that mark the period between February 1, 1979 and February 11 when Shiite cleric Khomeini returned from exile and ousted the shah's last government. 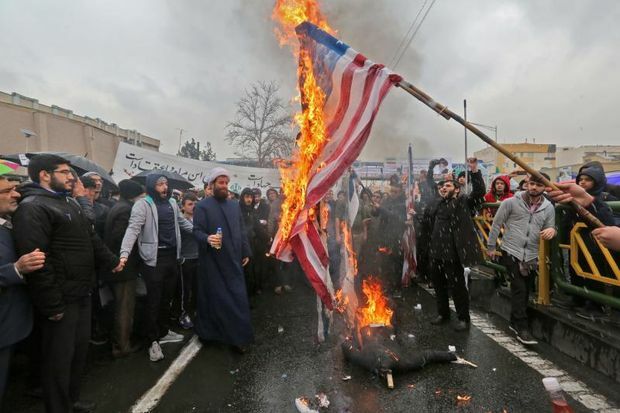 Banners held by marchers or hung along the streets bore slogans including "Death to America", "Death to Israel", "we will trample on America", "forty years of challenge, forty years of US defeats".